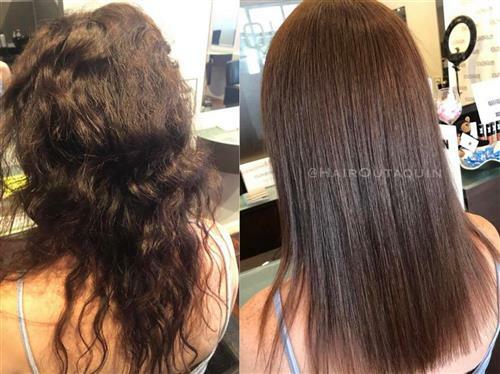 Best Keratin service is really the best keratin service we have ever used before and is getting fantastic results. 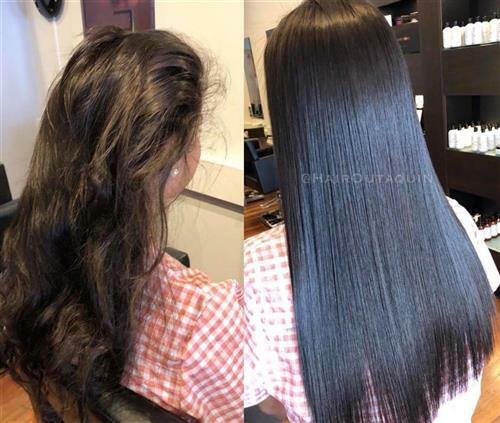 The Best service is transforming untamed hair into silky smooth low maintenance hair women dream about and chemical free. 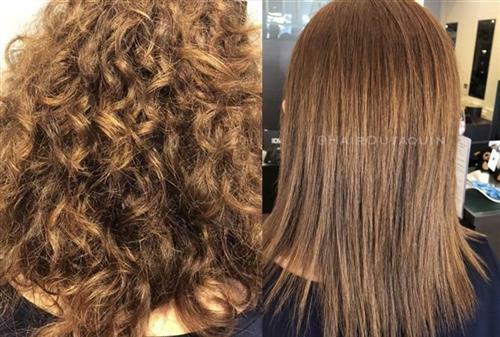 Remember all Keratin smoothings are NOT THE SAME. If you want results and lasting ability that's us. If you are after price and not worried about results and how long it will last then we are not the hair salon for you. » Click on images to enlarge. Best with Juvexin is unlike most competing keratin products. 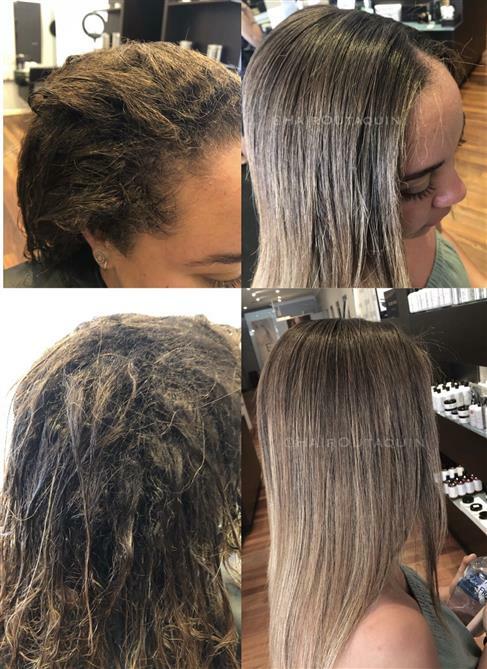 Juvexin uses a patented keratin technology to achieve their smooth results and does not chemically alter your hair to achieve the smooth results. Best helps defrizz and smooth the hair, it is not a permanent straightener or for eradicating curls completely. 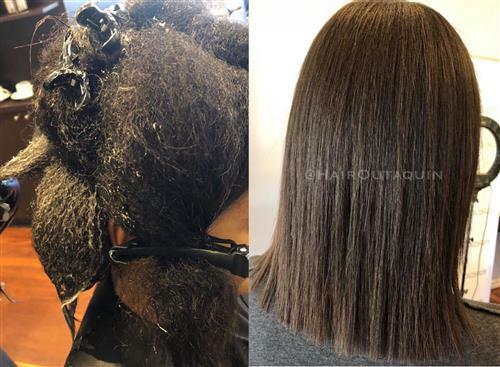 Depending on what your hair is like to start with depends on what the outcome will be It is aimed at reducing volume, smoothing curl and taking out frizz by up to 80% or more. It all depends on what their hair was like to start with. 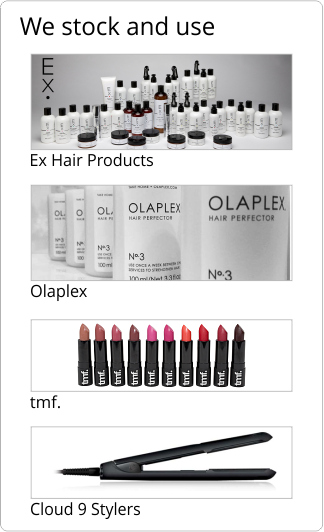 Primarily Best treats the hair long term lasting up to 5 months on average, depending on lifestyle. Should you require a more longer term smoothness and frizz reduction Xtenso Moisture (different from Xtenso) may be more suitable. 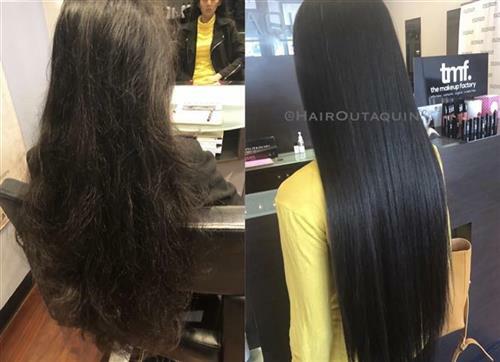 If the desired result is 100% straight Hair Outaquin recommends our ammonia free, and formaldehyde free (sunflower ceramide based) Thermal Rebonding. 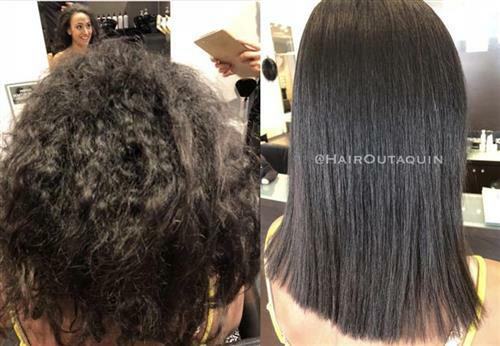 All our smoothing and straightening products are formaldehyde free. 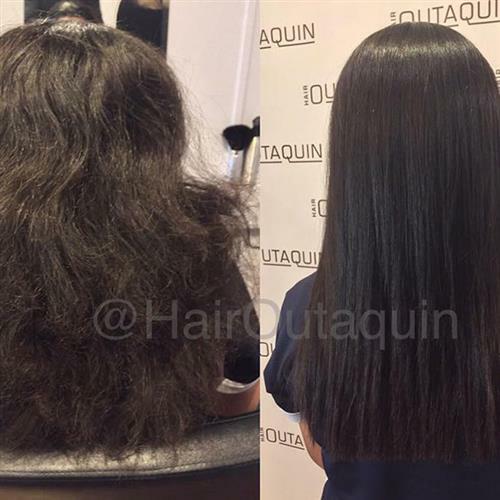 Hair Outaquin only use products approved by Australian Standards. 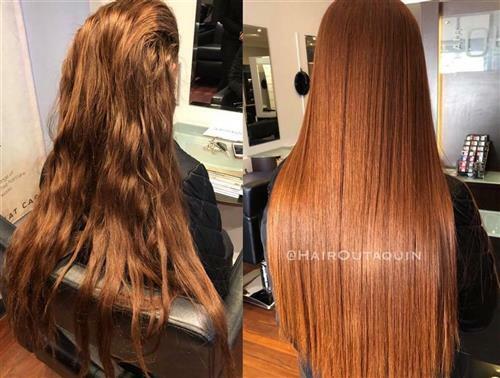 » Click here to contact us for more information about our hair straightening in Perth. Please note we receive dozens of enquiries per day if you have not received a call back it is either photos not clear enough (bad angle, blurry etc) or no mobile contact has been supplied. 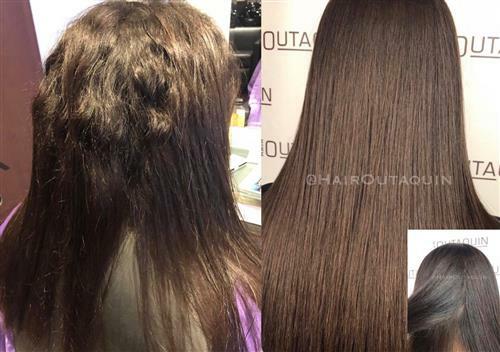 Thermal rebonding, also known as TR or permanent hair straightening, is very popular with our Perth clients. 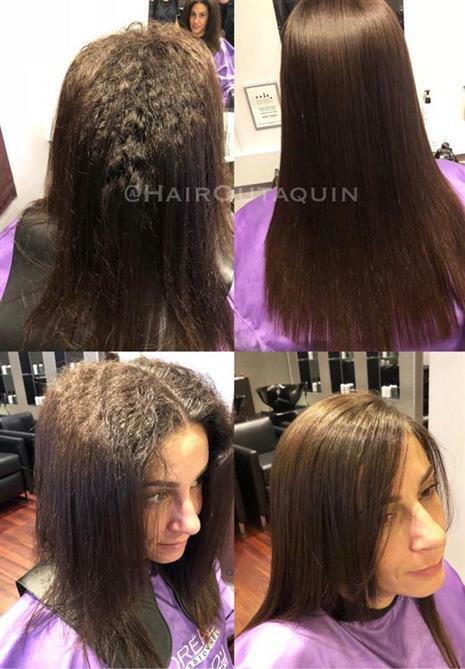 After researching many techniques for permanent hair straightening we have settled on thermal rebonding, the latest technology, guaranteed (subject to original hair condition) to provide each client with healthy, long lasting, straight hair. 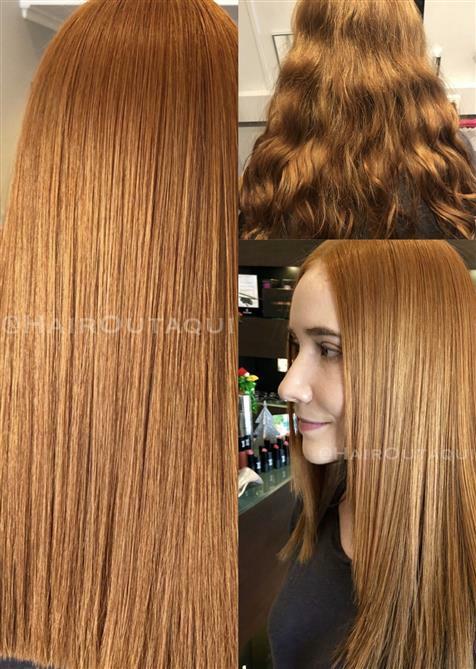 Our permanent hair straightening techniques can also be used on coloured hair. 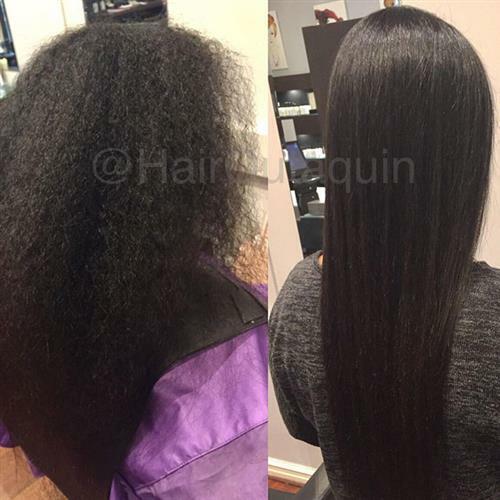 Hair Outaquin will NOT perform this service on bleached hair. 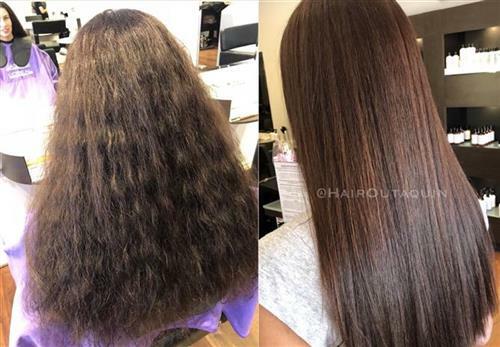 There are many inexperienced salons in this field, many using "shortcut" versions of the thermal rebonding permanent hair straightening process with mediocre results. However, in the right hands it has amazing results. 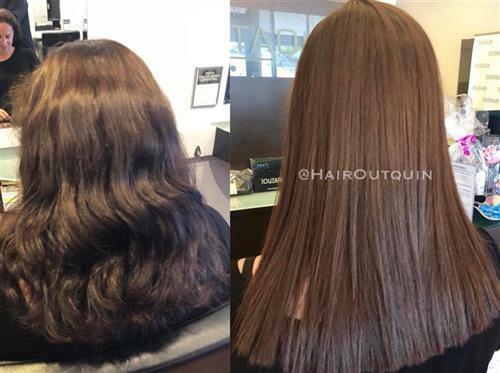 Hair Outaquin only offer the full process option without any shortcuts and our highly experienced and trained permanent hair straightening specialists ensure maximum results for you! Please note under no circumstances will we take an appointment for this service unless hair has been viewed prior, in person. 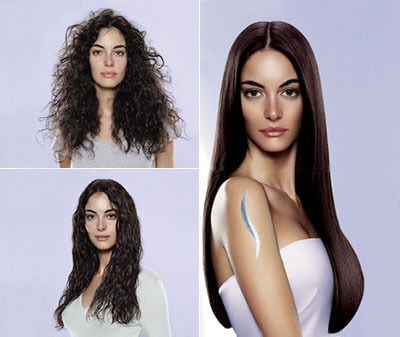 Xtenso Moisture is for the client that does not want the frizz and "boof" but does not want dead straight hair either. Xtenso Moisture is an exciting NEW product from L’Oreal Professional. 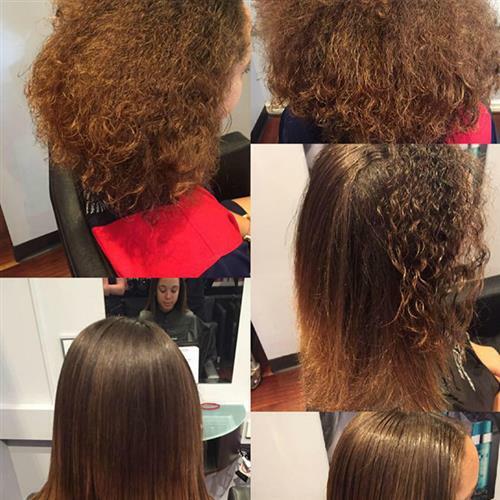 This technology allows the smoothing of the hair, therefore reducing the coarseness and frizz but leaving the body. 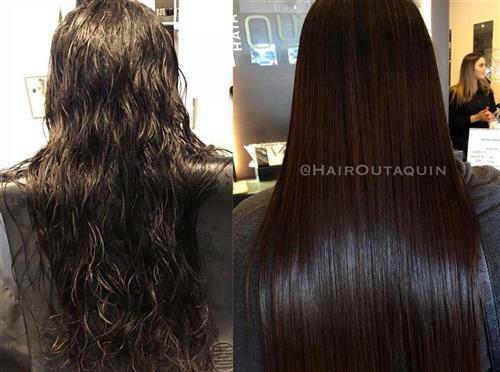 Two techniques are available, one for smoothness and one for a straighter look so standard and brazilian. 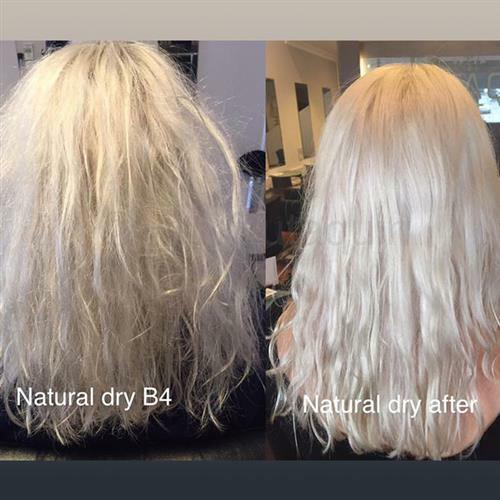 Unfortunately, Xtenso Moisture cannot be used on bleached hair or hair that has more than 30% hilights.Although we have other services that may be suitable for those hair types. Please remember this is NOT Xtenso, the original Xtenso has been discontinued. Xtenso Moisture is a NEW product. 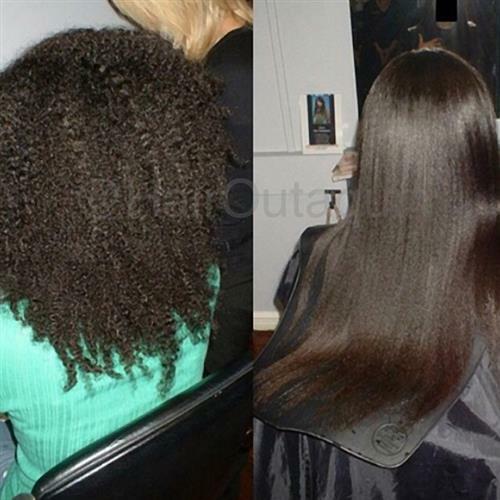 The image on the right shows hair before, then hair after Xtenso. The image far right shows the hair styled after Xtenso Moisture.